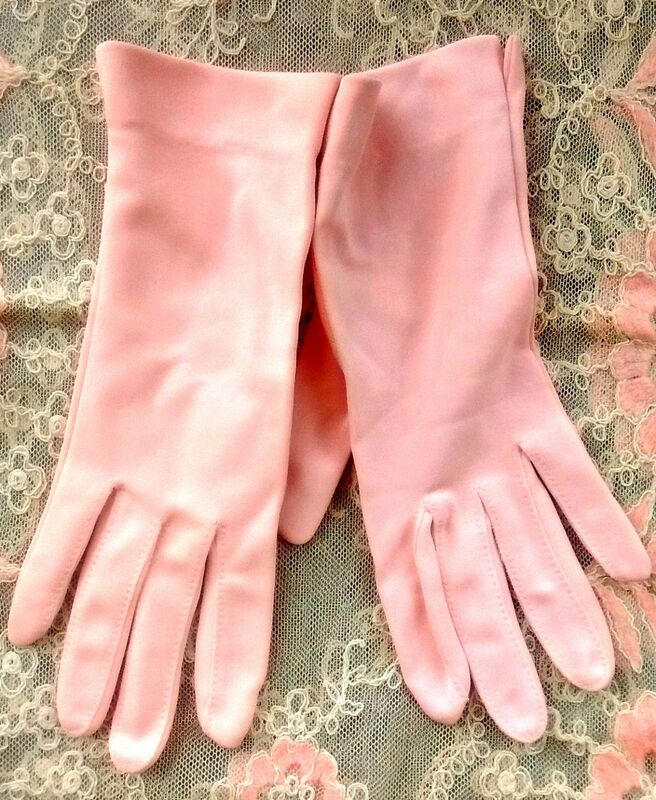 This is a pretty pair of baby pink vintage nylon gloves for small, size 6 to 7 hands. They girth measure approximately 6 "; and it measures 8 3/4" in length- from the top of the middle finger to where the end of the glove lays on the wrist.It can probably fit someone who wears a size 6 1/2 to 7 glove because the fabric strecthes a bit. Also, the gloves' design has a split on each wrist as shown in photo above.